I saw a patient once who was admitted to hospital in a wheelchair and after a relatively small operation walked out the following morning! In order to make such a difference to patients, spinal surgery demands technical precision and consistency. You also have to be extremely careful and composed as you cannot afford to damage nervous structures, although you have to work within a millimetre of them. That combination of precision, composure and an ability to make a tremendous difference to patients’ lives is right up my street. People! I love listening to patients spinal problems as, for me, it’s detective work. Patients will tell you their symptoms but you’ve still got to work out what’s causing the problem. That’s not easy, and I usually tell my students that in fact this is the most challenging aspect of a practice in spinal surgery. Every spinal problem is different, even if they have the same nominal diagnosis. I treat the same ‘slipped disc’ in so many different ways depending on many factors. Don’t believe everything you hear in the pub or read online. I care about my patients as though they were a member of my own family. I am never satisfied with anything other than excellence. I am humble and don’t have an ego to nourish! Mr Robert Crawford, a Consultant Spinal Surgeon in Norwich under whom I trained. You couldn’t hope to meet a more honourable man, who is generous with both his time and teaching. 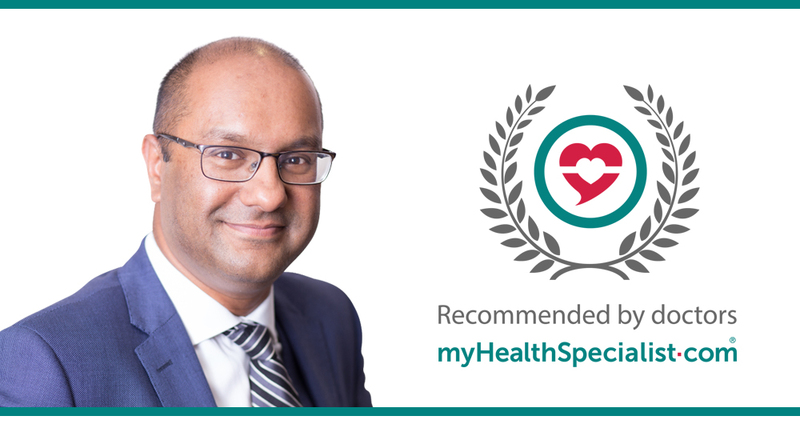 His unfailing commitment to his patients and always making sure that their best interests are paramount are the most important facets that I have incorporated into my practice. The birth of my two daughters, the younger of whom I delivered on the communal staircase of our first-floor flat! A teacher. I believe that if you put the right ideas and principles into young people early on in their lives, they will unlock and maximise the potential that each of them has inside. Virtual reality training for surgeons and remote surgery. Being able to train junior surgeons better before they operate on real people is a significant step forward. Using remote surgery enables surgeons to operate in disaster and conflict zones without putting medical and nursing staff in harms’ way.